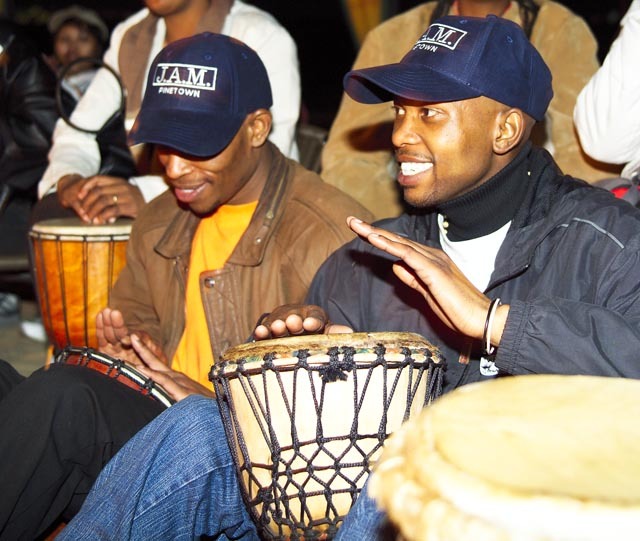 Drumming is a universal expression that transcends all boundaries: personal, organizational or cultural. Drum Cafe teaches staff to increase productivity and efficiency through better team work and intearactive team building. Our leadership program has been designed by global Motivation Speakers, HR Consultants, Company CEOs, Leading Musicians and Academic professors. The Fortune 500 companies can’t be wrong. We work vertically and horizontally across companies eg. This unifying experience creates the perfect platform for teams to experience the power of all working together to achieve a common objective. Team building has never been so effective! Each individual brings their unique sound into the mix to create a one-of-kind percussive orchestra-one that wouldn’t be the same without the people who are taking part. This is truly a case of unity through diversity. Third, we explore the diversity, in each and everyone’s unique and individual contribution through the tone note. Through call and response we teach the importance of communicating better by accurate feedback. We close off with an interactive high energy percussion set, embracing diversity handing out fun percussive instruments, in an all out celebration of self expression and leadership. This is where we take the drumming skills that we have learned in the beginning to create music. A celebration of diversity, contribution, team building and leadership. Turn your company or department into a community. Learn more from one of our consultants by requesting a proposal today.